Can you hear the bagpipes calling? 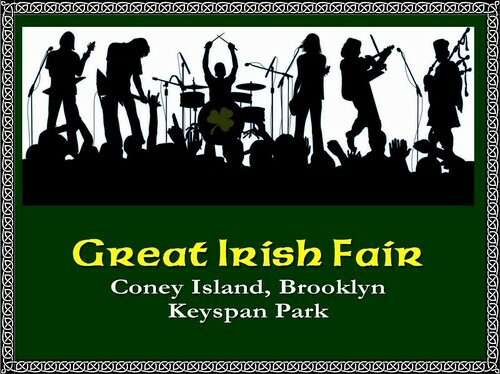 The 29th annual Great Irish Fair of New York is slated for September 18 and 19 at KeySpan Park, Coney Island. at the Brooklyn Cyclones Park in beautiful Coney Island for a two-day celebration of Irish heritage with great music, food, dancing, family activities. 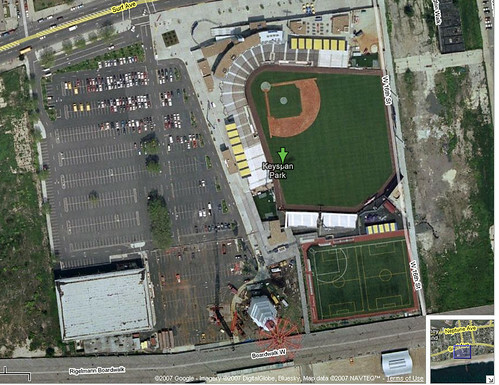 National Grid, formally known as Keyspan, is dropping the Keyspan from Keyspan Park. Their original contract/deal, according to the daily news, was supposed to last until 2020 but they ended the deal earlier, with no one talking about how much the split was worth. The 28th Annual Great Irish Fair of New York was this last weekend and of course we attended. There was a decent Gerritsen Beach crowd there. The 28th annual Great Irish Fair of New York is slated for September 19 and 20 at KeySpan Park, Coney Island. at the Brooklyn Cycloneâ€™s Keyspan Park in beautiful Coney Island for a two-day celebration of Irish heritage with great music, food, dancing, family activities. Events: Irish Fair Approaches and Has New Website! Savitri D aka 2008 Queen Mermaid is in the middle of her 4 day hunger strike. It is all to bring attention to the upcoming Coney Island Community Scoping Meeting and the new Coney Island developments. Continue reading Irish Fair this weekend!